Hedonism of whatever kind implies a calculus. In the case of John Stuart Mill’s utilitarianism, the calculus is in terms of utility or satisfaction or pleasure, a ‘felicific calculus’ as his disciple Jeremy Bentham called it. Bentham worked out this idea in some detail. So we may ask, how does one calculate Christian hedonism? What are the units of satisfaction? How do we decide when we have enjoyed fewer or more of these? Are there different qualities of such units, some ‘higher’ than others? It is easy to see that such questions are not easy to answer. But if we cannot answer them satisfactorily, Christian hedonism falls at the first fence, along with its non-Christian cousins. Naturally enough, hedonism of whatever kind brings pleasure or satisfaction to the front of a person’s mind. Pleasurable states of affairs are identified, and those states of affairs which are judged to produce the greatest amounts of satisfaction are sought, however these amounts are to be calculated. A person may be absorbed in his hobby, restoring a classic Mini to its original state. He seeks out parts on eBay and in boot sales; he trades them with other collectors, he works at the car, at its electrics, its various fittings, and so on. Is that person getting pleasure out of what he is doing? Of course he is. But the pleasure is not the first thing; the first thing is restoring the car, and the pleasure piggy-backs on the activities that this involves, the skills that have to be learned, the problems that have to be solved, the sight of the restored car taking shape. The pleasure is not some separately identifiable state, but a bye-product of the activity. And of course as there are many different kinds of activities, there are many different kinds of pleasure. This reminds us that a pleasure, in the hedonists sense, is not a sensation, like that provided by a painful toe, or a cool drink. There is an ‘aboutness’ to the experience of hedonistic pleasure. It is a reaction to beliefs and desires that one has, activities that one engages in to secure certain ends, or the unsought things that happen to a person, and so on. If I weep because I’m peeling the onions, I do not weep about the onions or about my eyes. But if the optician tells me that I shall never see again, then I might weep about my eyes. But the peeler’s crying over the onions is not like that; there is no aboutness about it, but a purely physical reaction. The joy that came to Jesus’s disciples from knowing that their names were written in heaven is a different kind of joy from that of having won £161 million on the Lottery, or of having become a parent, and so on and on. The basic problem here is distraction. For the consistent and serious-minded hedonist no activity is ever performed for its own sake but for its yield of happiness or satisfaction. In an extreme form, as every beginning student of Mill’s utilitarianism quickly realizes, the problem is that in an effort to be a consistent hedonist such hedonism becomes impractical. A calculation has to be performed before any action is done. This requires a quick calculation to see whether we are more satisfied in doing A than B, and whether A rather than B is more likely to be achieved, In the case of Christian hedonism, this is a consequence of the belief that God’s glory is to be sought not because it is a good in itself, the supreme good, but because of what, according to the mantra, its precondition is, the greatest possible degree of satisfaction in God. It may be argued that the famous answer to the question about the chief end of man that is found in the Westminster Shorter Catechism supports Christian hedonism in its reference to enjoying God forever. Certainly the hedonic element is present. But the structure of the answer is rather different from that of Christian hedonism. The chief end of man does not refer to the gain in satisfaction that each of our actions may provide as we perform them, but it has a distinctive eschatological strand to it. The chief end of man (here and now) is to glorify God and (at the last, when experiencing the vision of God) to enjoy him for ever. Here and now human life is to be dominated by glorifying God by what we think and do and feel, and endure, whatever the pain. Then, the Christian’s pilgrimage over, the faithful Christian will enjoy God when he shall be like him, seeing him as he is. It seems that Christian hedonism takes these two elements, the present Christian life and the life to come, and collapses them together. It proposes to integrate the enjoyment of God into our present life as a vital ingredient in every Christian action, and the motive for each of them. But the Catechism simply refers to glorifying God, leaving open the degree of self-awareness and calculation that ought to be present in a Christian’s action. And of course such glorifying of God is the ‘chief end’, not the only end. It provides a place not only subordinating what we do to God’s glory, but also for enjoyment, including the enjoyment of creaturely gifts for their own sake. The Catechism makes room for the hobby of growing insectivorous plants, or of collecting old opera programmes. This is a vital feature of Christian morality, according to which there are actions that are commanded, and actions that are forbidden, and ‘indifferent’ actions, neither commanded or forbidden. ‘Indifferent’ actions provide the space that Christian liberty occupies, and it ought to be jealously guarded now, as at the Reformation. Systems of Christian morality ought not to add to the commandments or prohibitions of God. The trouble with hedonisms, Christian and other, if they're taken seriously, is that they confine us to a moral or spiritual treadmill from which is not easy to escape. May we not find satisfaction in God in such innocencies as opera programme collecting? May he not be glorified in them? May God not be glorified for the provision of such innocent pleasures? A Christian hedonism may perhaps reply ‘Yes’. But if so then the link between satisfaction in God and glorifying him becomes more and more tenuous, and the claim runs the risk of being true by definition. Either the actions that express Christian liberty are ways of finding satisfaction in God, or they are not. If they are not, then Christian hedonism is at once refuted. If they are, then the idea of it is stretched, perhaps stretched to the breaking point of unreality, for then almost any action might count as one in which a person finds satisfaction in God. What we are discussing, using and enjoying, is an aspect of the distinction that caused Augustine so much trouble. 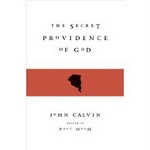 (For some details, and a comparison of Augustine and Calvin at this point, See Paul Helm, Calvin at the Centre, 29-31). One problem that exercised Augustine was: may created things be enjoyed for their own sake? May I have friends? Or may God alone be enjoyed for his own sake, and are all other creaturely enjoyments to be thought of only as obstacles to the enjoyment of God for himself? The hedonist of whatever stripe has some difficulty with the idea that anything at all may be enjoyed for its own sake, just as he has difficulty in thinking that there are actions that ought to be performed simply because they are right, or avoided only because they are wrong. All this affects the idea of self-examination. There is no denying that self-examination was central to the piety and personal religion of Puritanism. They took seriously the New Testament teaching that a person should examine himself (2 Cor. 13:5), take heed (1 Cor. 10:12), judge himself (1 Cor. 11:31), abase himself before God (Luke 18:14), and be watchful (Matt. 25:13), as well as the self-knowledge depicted in its various phases in the Psalms. This is an integral part of Reformed religion, and cannot airily be dismissed as ‘pietism’. (If you doubt this, glance at Q.171 of the Larger Catechism.) And most certainly this present critique of Christian hedonism is not undertaken in order to support an outlook which is all head and no heart. Yet self-examination must be undertaken bearing in mind our capacity for self-deception, and so on the basis of as much hard evidence as possible. If we are to examine ourselves to see whether or not we are in the faith, this first and foremost concerns what we believe, the faith we confess. In connection with the Supper, Paul stresses the need for ‘discerning’ the Lord’s body, and for judging, on which he places a repeated emphasis. These activities involve the discipline of the mind, and may result in a ‘worthy’ eating, valuing the Supper at its true worth. It is such matters as these, not how much satisfaction in God am I enjoying, that are the principal activities of self-examination. Right belief, and so a ‘worthy’ observance of the Supper. And likewise with our conduct. The question is, are the commands of God being kept? Is Christian virtue being formed? These require the careful assessment of solid evidence about what we believe and do. As far as Christian hedonism is concerned, since ‘God is most glorified in us when we are most satisfied in him’, the focus in self-examination as to whether or not we are living for the glory of God must fall on estimating the degree and amount of our satisfaction in God. (‘Satisfaction in God’ seems an odd phrase, by the way.) As we have mentioned more than once in this piece, hedonism involves calculation. Not only does living the Christian life properly involve the discovery of whether or not we are more satisfied in God than in other, creaturely things. It also involves striving to maximise our satisfaction in him. And as we have also already noted, the strong tendency must be to focus on the Christian’s satisfaction in God rather than on her confession of faith in him, and her obedience to him. After all, we must remember that the first question of the Shorter Catechism is followed by the second. In the emphasis of current Christian hedonism, is not the balance and variety of the Christian’s life which the New Testament sets forth being sacrificed for a neat phrase? 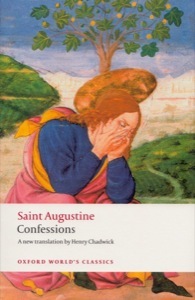 This is the first of three posts on Augustine and pagan philosophy, using his Confessions. The curriculum led him to Cicero’s book Hortensius, an advocacy and defence of the worthwhileness of philosophy. Cicero was a Stoic, perhaps best known today for his work The Nature of the Gods, an imagined conversation between men with different religious points of view. 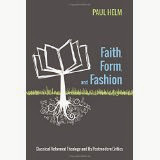 The book provides a good window into the religion and theology of the ancient world. In later life Augustine came to have an ambivalent attitude to Cicero, and to Stoicism more generally. Among other books Cicero wrote is On Divination, in which rather than believe that the future could be foretold by divination he preferred to think that any foreknowledge was impossible. This is certainly a strange view to hold in anyone who is a Stoic, and Augustine wonders out loud how much of a Stoic he actually was. He exploded: ‘to acknowledge a God, and yet to deny that [he has foreknowledge of things to come], is monstrous madness”, which he observing, went about to provide even that which ‘the fool hath said in his heart; there is no God’. (City of God, V.IX) The entire discussion is worth reading. One of the great benefactions of Augustine to Christian posterity was the provision of a sort of league table of philosophers. Top of the table was Plato and the Platonists (who we shall meet later on), and following them the Stoics. As we can see, any denial of God’s foreknowledge from them, or from those who are sympathetic to them, called forth his condemnation. Their teaching on fate, as well. He did not sympathise with their view of emotion and its expression, citing the emotions of Jesus as refutation. But he placed value on their view of nature and the natural, or natural law, which became the foundation of the natural law tradition in the church. So the Stoics were a mixed bag, but they were better than the Sceptics and Epicureans, who were altogether condemned. (One of the first works Augustine wrote after his conversion was a refutation of Scepticism.) What of Aristotle? We shall offer a limited answer to that question later on. But the general problem was that Aristotle was not translated from the Greek, except for a few works, such as The Categories, until the 12th century. We shall meet The Categories in the next post. What this league table shows is a kind of philosophical eclecticsm which has often been the attitude of Christian theologians to philosophy – to pick and choose. There is no revealed Christian philosophy, so why not? Cicero’s Hortensius is a book that is now lost to us, and all that we know of its contents we only know through Augustine’s citations from it, and summaries of it. It is fair to say that this book, read in the course of his studies, had a transforming effect upon him. The book changed my feelings. It altered my prayers, Lord, to be towards you yourself. It gave me different values and priorities. Suddenly every vain hope [such as those hopes to be derived from success in rhetoric] became empty to me, and I longed for the immortality of wisdom with an incredible ardour in my heart. I began to rise up to return to you. For I did not read the book for a sharpening of my style, which was what I was buying with my mother’s financial support now that I was 18 years old and my father had been dead for two years. I was impressed not by the book’s refining effect on my style and literary expression but by the content. My God, how I burned, how I burned with longing to leave earthly things and fly back to you. What more does Augustine tell us about the book and its impact? It kindled his love for philosophy, but it did not convert him to one particular philosophy. And even when, later on, we shall see the influence of the Neoplatonists on him, that influence was not total, but selective. If Augustine was a ‘platonist’ he was a very selective one. For what Augustine seems to have liked about the Hortensius was that it helped to form in him the judgment that the truth of God must be acknowledged whatever its source. But he is even bolder than this. He thinks that what Cicero is doing (unbeknown to him, of course) is providing ‘a clear demonstration of the salutary admonition given by your Spirit through your good and devoted servant, ‘See that none deceives you by philosophy…..’ (Col.2.8-9), even though Cicero was not acquainted with the words of Paul. The one thing that delighted me in Cicero’s exhortation was the advice ‘not to study one particular sect but to love and seek and pursue and hold fast and strongly embrace wisdom itself, wherever found’. [But…. ]’One thing alone put a brake on my intense enthusiasm – that the name of Christ was not contained in the book…..Any book which lacked this name, however well written or polish or true, could not entirely grip me’. This attitude recurs when later on he is influenced by ‘the books of the Platonists’, as we shall see. The philosophers took him so far, but no farther. As in Acts 17 Paul could quote from the pagan writers ‘In him we live and move and have our being’ and ‘We are his offspring’, for these sentences express the truth of God. But those writers had nothing to say about the coming of the Saviour, about Incarnation and Crucifixion and coming judgement. One might think from these last words that, helped by Cicero, Augustine would return at once to the Catholic Church. But not a bit of it. When he turned to the Scripture, due to his ‘inflated conceit’ he found it to be a disappointment. The bald style of the Bible with its was ‘unworthy in comparison with the dignity of Cicero’. So what happened? He ‘fell in with men proud of their slick talk, very earthly-minded and loquacious. In their mouths were the devil’s traps and a birdlime compounded of a mixture of the syllables of your name, and that of the Lord Jesus Christ, and that of the Paraclete, the Comforter, the Holy Spirit. These names were never absent form their lips, but it was no more than sound and noise with their tongue’. He is referring to the Manichees, using the language of hindsight, naturally. It took quite a while for them to lose their appeal. And when eventually he was pulled free, and sought to return to the Faith of his mother Monica, he found more help from pagan philosophers.